In early 2010, fabtic Company Director Joanna Foster was approached by the BBC in her then role as Manager of the London Fire Brigade’s Juvenile Firesetters Intervention Scheme. The production team of the BBC documentary series Wonderland were making a programme entitled The Kids That Play With Fire and were keen to include the work of Joanna and her London team. Joanna was filmed intensively over a six-month period, including her day-to-day office work and her direct work with two children named Liam and Hulya. 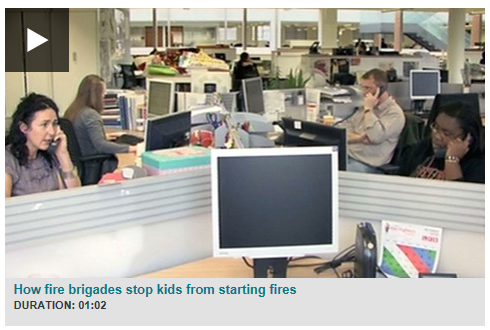 Ten year old Liam and 14 year old Hulya were both setting fires at home, endangering themselves and their families. The programme depicted their home lives and her individual sessions with Joanna. The BBC crew filmed every session, sensitively portraying how each child talked to Joanna about why they set fires, and the techniques and strategies used to stop their firesetting. The issues of deliberate self-harm and family dynamics were also explored, and filmed, during the sessions. Filming ended in late December 2010 and to date Liam and Hulya have set no further fires.